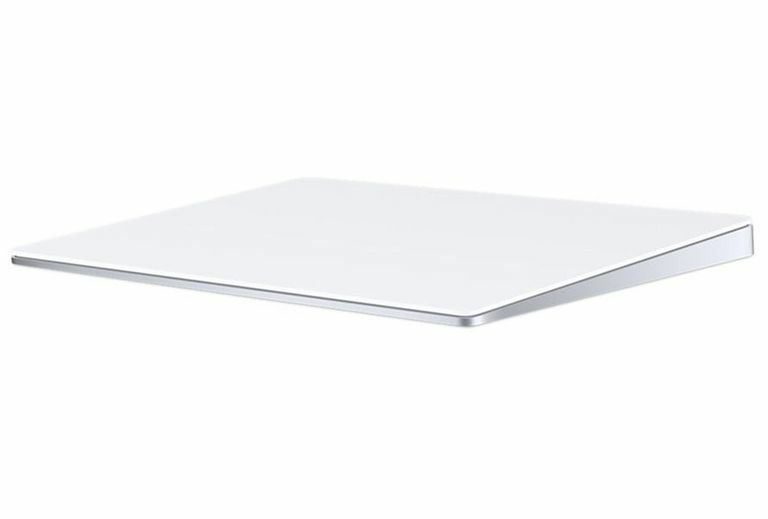 Apple’s Magic Trackpad 2 is significantly different from the original Magic Trackpad. It looks different with a larger touch surface and feels different with Force Touch capabilities built-in. It can also be configured to mimic the original Magic Trackpad if that's what you prefer. The reason for the change, and the ability to mimic the original, is the incorporation of Force Touch and the haptic engine that can simulate the feel of mechanical clicking. But the Magic Trackpad 2 includes other new features as well. If there's a unifying theme for the new Magic peripherals released by Apple in October of 2015 (Magic Mouse 2, Magic Trackpad 2, and Magic Keyboard), it’s the removal of the AA batteries that used to power the peripherals, and the addition of an internal rechargeable lithium-ion battery to supply power to the devices. In the case of the Magic Trackpad 2, the new internal battery allowed Apple to redesign the original trackpad and eliminate the battery bump that used to house the AA batteries. This allows the tracking surface on the Magic Trackpad 2 to extend from the bottom edge to the top, where in the past it stopped short of the top, due to the battery compartment. The end result is a more rectangular form factor, vs. the square look of the original Magic Trackpad. The new form factor also more accurately resembles the shape of a typical monitor connected to a Mac, allowing much more precision in tracking finger movement and mapping it to your display cursor. The other benefit of removing the old battery compartment is that the Magic Trackpad 2 now has a lower profile, matching that of the new Magic Keyboard. This allows you to place the keyboard and trackpad next to each other, without any change in height or angle. The new Magic Trackpad 2 may be a wireless Bluetooth device, but it comes equipped with a Lightning port and a Lightning to USB cable, which is used for initial setup and charging. The lithium-ion battery should last about a month between charges, and unlike the Magic Mouse 2, you can continue to use the Magic Trackpad 2 while you're charging the battery. In fact, you could even turn off the Bluetooth capabilities and simply use the new trackpad as a wired device, although there isn't much of a reason to do so. Charging time ranges from two minutes to perform a quick charge that should allow around 9 hours of use, to two hours to fully charge the battery for a month of use. The Lightning to USB cable is used to connect the Trackpad to your Mac for initial setup. During the setup process, if the Magic Trackpad 2 hasn't yet been paired to your Mac, the setup process will perform the pairing for you, eliminating the problem of over-the-air pairing when you're in a Bluetooth-rich environment, such as an office or your home's gaming parlor. The Magic Trackpad 2 incorporates Force Touch, bringing Force Touch capabilities to all Macs. The trackpad has four force sensors that can detect the pressure with which you're pushing on the surface. This allows the Magic Trackpad 2 to detect taps and deep clicks. In addition, because there's no mechanical switch for detecting clicks, the same amount of force can be used anywhere on the surface to register a click, unlike the original Magic Trackpad, where you needed to press a bit harder near the top than the bottom to register a click. With the mechanical switch gone, Apple uses a haptic engine to simulate the feel and sound of clicking. The haptic engine is adjustable, so you can set up your Magic Touchpad 2 to feel just the original version, configure it for a light touch, or anything in-between. The Magic Trackpad has no new gestures, although all the older ones are still present. On the bright side, that means there aren't any complicated new gestures to learn; on the downside, it seems like Apple isn't using the Magic Trackpad to its full capabilities. My guess is that we'll see new gesture support down the road, with one of the macOS updates bringing new trackpad capabilities. The Trackpad preference pane has not seen new gestures added for the Magic Trackpad 2. If you can't wait for Apple to add new gestures an app like Better TouchTool can let you create your own custom gestures for your Magic Trackpad or Magic Mouse. The Magic Trackpad 2 is a nice update, with worthwhile new features that anyone who prefers a trackpad to a mouse will find appealing. The question on most users' minds is probably, are the new features enough to warrant an upgrade from the older Magic Trackpad? I think if you’re a trackpad user, you're going to like the changes. A bigger surface area, a very nice surface feel, and the Force Touch capabilities make the new Magic Trackpad 2 very attractive. And let's not forget that you won’t need to worry about replacing batteries anymore.